Description With the R22, the Robinson Helicopter Company proved that it was able to rewrite market rules with its piston based, two seater, very light helicopter. Key to this achievement was the focus on a low total cost of ownership, which makes the R22 a very economical solution. In the 19080s, it was only a matter of time before Robinson started on the design of the R22’s successor: the R44 Astro. This is a four seater, piston-based design, and the model is clearly derived from the R22; the fuselage follows the same lines and the rotor concept is also borrowed. 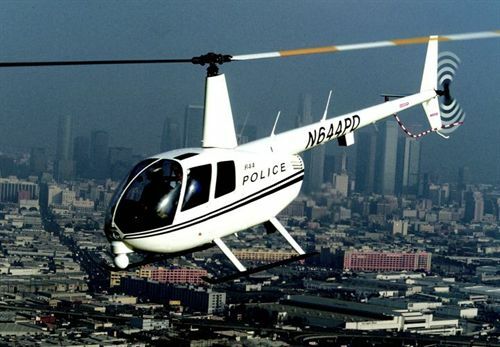 With the R44 line, Robinson introduced a piston engine based helicopter to the four seater market segment which was, at the time, dominated by turbine powered models. Soon, the R44 demonstrated that it was indeed possible to get a turbine performance for the price of a piston helicopter. The company thus again proved to be right in its approach, with more than 5300 R44s sold (2011). With the R22, the Robinson Helicopter Company proved that it was able to rewrite market rules with its piston based, two seater, very light helicopter. Key to this achievement was the focus on a low total cost of ownership, which makes the R22 a very economical solution. Do you want to comment the Robinson R44 Raven I helicopter?